According to Brian Cates, “Star Bucks is one of the most exciting herd sire prospects ever produced at Cates farms”. 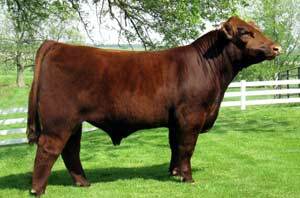 His dam, CF Pure Picture Perfect is considered to be one of the best young Shorthorn cows. Star Bucks was her first calf. 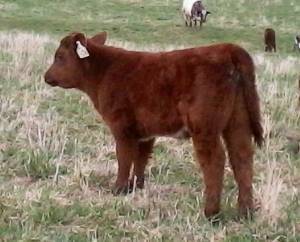 CF Sonic his sire is being used a lot by Cates and is making maternal, easy fleshing, and attractive cattle. Star Bucks was admired especially in Denver of 2010 where he went on to be early spring bull calf division champion. He then went on to Fort Worth where he was res. Champion Shorthorn. He then went on to be named All American in his age group. He is an easy fleshing bull with very good structural correctness, good bone, feet, and an extended, attractive neck.